With over 8000 expert guided walks and biking trails available to download from the ViewRanger route store, access to anything from a family stroll to an extreme challenge is just a few finger taps away. To celebrate the role of the contributors to this growing route library, we’ve instigated the annual ViewRanger Route Guide Awards. We've seen a significant increase in the number of route guides that have been downloaded over the last year - on the Apple iPhone, iPad, Android smartphones, and Symbian mobile phones - and in the number of reputable and well known publishing partners that are making their route guides available on ViewRanger. These include; Walkingworld, The AA, Trail Magazine, Trek & Mountain magazine, the Ramblers, and more. Whilst most of the route content currently available is within the UK, there are routes in other countries and we are working with a range of partners around the world to make more worldwide route guide content available. The range and quality of the Walkingworld routes is exemplary. With photographs at every key waypoint and a huge number of routes to inspire and choose from, the Walkingworld routes offer something for everyone. So many congratulations to Walkingworld and the army of Walkingworld contributors. This award actually goes to a short series of three routes collectively known as the Bassenthwaite Reflections guides: Honister to Keswick, Dunmail Raise to Keswick, and Glenderaterra Walk. Produced by GPS Training for Bassenthwaite Reflections, the route guides offer a gps-triggered audio tour of the landscape around and near Bassenthwaite in the UK Lake District. 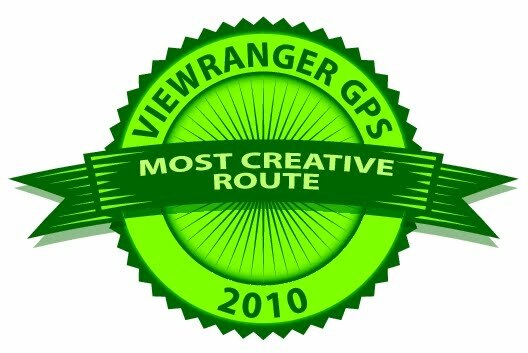 The final award goes to the route which proved most popular amongst ViewRanger users. The top three routes downloaded in ViewRanger covered Snowdon, Scafell Pike, and Ben Nevis. But the winner and most downloaded route of 2010 was Walkingworld's Snowdon Summit via the Miners and Pyg Tracks. So congratulations again to Walkingworld and to Walkingworld contributor Jim Grindle, who created the route. *based on total downloads in the year.